i-mate to offer it as the JasJam too? 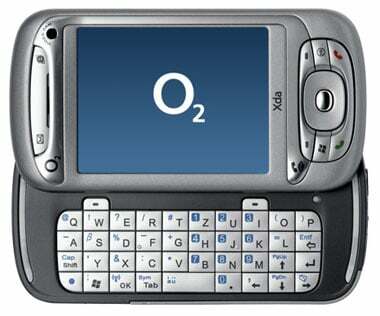 O2 Germany has posted details of a PDA phone it's calling the XDA Trion but is better known as HTC's 'Hermes' design. Hermes is also set to ship as the i-mate JasJam, if a posting on a US retail website is anything to go by. The Trion is based on a 400MHz Samsung-made processor and ships with 64MB of RAM and 128MB of Flah ROM. It runs Windows Mobile 5.0 with the Microsoft's push email extensions. There's the usual 240 x 320, 65,536-colour display, and a two-megapixel camera. A second, front-mounted camera suggests the handset will support 3G networks. Like other recent HTC-designed devices, the Trion has Bluetooth, 2.0 in this case, and Wi-Fi, though O2's website doesn't say whether it's 802.11b or 802.11g. According to a specification posted in US website On The Go Solutions, the i-mate JasJam supports both of these Wi-Fi varieties. It also says the device - which has yet to be confirmed or announced by i-mate itself - is a 3G unit with HSDPA high-speed download technology on board. Out of the range of a 3G network, the handset operates as a quad-band GSM/GPRS device. The US site claims the JasJam offers five hours' talk time from its 1350mAh battery, but then it also has the processor down as a 300MHz part, not 400MHz.